Barbara Whittern, 89, passed away Monday November 26, 2018 at home surrounded by her family. Barbara was born August 20, 1929 to the late Nelson and Sophia Clifton in Muncie Indiana. She spent her life in Muncie graduation from Muncie Central High school. She married Wendell Whittern and together they had five children. Many will remember Barbara as the friendly server who served them at the Moose Lodge for over 27 years. She was a past member of the Eagles Lodge 231 who never gave up her love for bingo there. She was a loving mother, enjoyed being around her grandkids, watching the Pacers play and of course Bingo. Five children survive Barbara: Gary Whittern, James (Elizabeth) Whittern, Jeff (Polli) Whittern, Cindy McCormick, Jennifer Whittern, and sister: Marlene (Bill) Stephens. 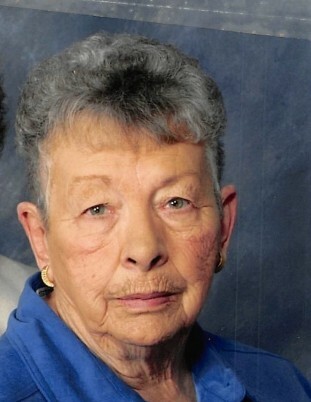 She had also been blessed with six Grandchildren and six Great-grandchildren who will miss her. Barbara was preceded in death by her parents; husband Wendell; and Sister Betty Wagner. Private family burial will take place later. Online condolences may be expressed at www.parsnomortuary.com.